100% New Zealand (NZ) owned and operated, since 1997 we’ve specialised in bespoke, tailor-made, high quality Motorcycle Guided and Self-Guided Tours of New Zealand, a destination described by many as “the best place on earth to ride a motorcycle”. The company was founded by John and Ian Fitzwater, though Ian has now retired from the company and moved to live in France with his lovely French wife Sophie. 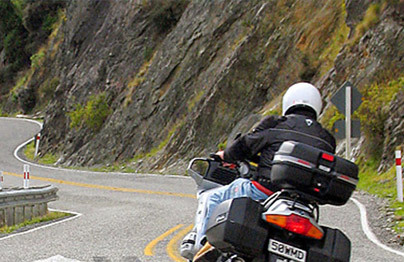 Our aim is not simply to provide you with the best motorcycle tour you’ll ever have…. We aim to give you the best holiday or vacation experience you’ll ever have. Period. Another simply described it as “…the best two weeks of my life“. All of our Guided Tours have our popular Off-The-Beaten-Track theme. 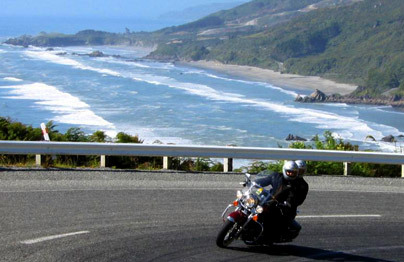 We think too many NZ motorcycle tour operators stick to the main routes and tourist towns. If you want to see neon, you can do that at home, right? We visit some out-of-the-way areas that are often missed by other motorbike tour companies because of the herd-like size of their groups – just check out our itineraries – bet you’ll have trouble finding some of our stopovers on your map. Even a lot of Kiwis don’t know about these locations. You’ll still get to see the main sightseeing attractions – the glaciers, the mountains, the glacial lakes and rugged but beautiful coastlines. We stay in some unique gold rush era or pioneering inns, some “boutique” lodges nestled in very scenic but isolated areas . You’ll get to see the real New Zealand, see our heritage and meet real New Zealanders (Kiwis – let’s keep the lingo lesson going). Many of these places are ignored by other tour operators. 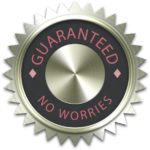 We know that you haven’t come to NZ for a standard tour of the tourist sights, and we’ve chosen those special accommodations loaded with ambience and atmosphere that we would use ourselves when we are on holiday. John Schmittinger, Dover, Delaware, USA. If you’ve toured unplanned before, you’ll remember those late afternoon arguments than can easily occur.. These questions can ruin a good holiday, are unnecessary and can easily be avoided. Let someone with expert knowledge plan and book your holiday for you. 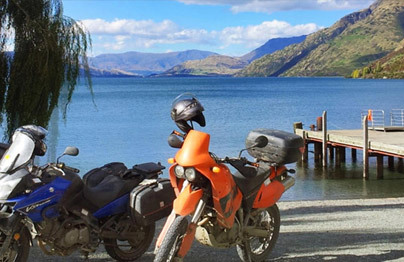 GoTourNZ Global (Adventure New Zealand Motorcycle Tours and Rentals) specialise in identifying and removing the stressful “fish hooks” than can ruin a good holiday/vacation. You’re not here for a long time, but you are here for a good time, remember? Why let stress intrude? In New Zealand we have a standard reply to somebody asking us to assist them in some way. Down here we say… “No worries, Mate!” (Interpretation = Don’t you worry about it fellow, I’ll take care of it). Let us give you a “No worries” holiday in the country that has been described as “The best place on Earth to ride a motorcycle” by BIKE Magazine’s (UK) Touring Editor.